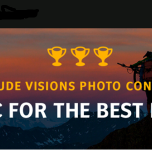 Published by Mountainblog on 01/11/2016 . Soft or hard shell? – This clothing question, at least, has finally been resolved. 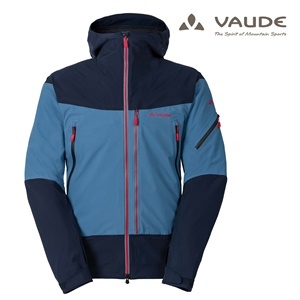 VAUDE’s Golliat Jacket combines the high breathability, ventilation and stretchiness of a softshell with the waterproof performance of a hard-shell. Thanks to Polartec® Neo Shell® functional fabric, athletes can test their own limits and really let off steam in the mountains. 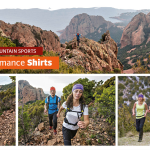 Every ambitious athlete knows that the much-vaunted “100% windproof, waterproof and breathable” claims of functional jackets have physical limits when put to the test in the outdoors. Strenuous climbs or an adrenaline-charged powder-run dramatically increase not only your pulse, but also your sweat output. Welcome to the summit sauna! The VAUDE Golliat Jacket has eliminated this problem. “Keep dry – inside and out!” is the promise of this extremely breathable and stretchy 3-layer hooded jacket made from Polartec® NeoShell® for climbers and skiers. The unprecedented water vapor permeability of this high-end laminate is produced by the extreme breathability of the membrane (twice as high as comparable competitors) which applies dynamic air exchange. Even when you’re going all out, sweat moisture can escape and doesn’t condense on the inner surface. 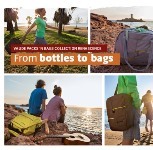 Nevertheless, the exterior is completely waterproof (water column 10,000 mm) and features a soft, textile, comfortable and less noisy fabric than a classic 3-layer hardshell. The sophisticated design is adapted to the needs of climbers. 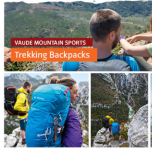 The jacket does not slide out of your harness even when reaching for distant handholds; the material is high-stretch and the adjustable hood is fully helmet-compatible. An extra large front pocket provides enough space for warm gloves, a map or a place to store your ski skins close to your body, which keeps them grippier in cold temperatures. Two lateral, higher-set side pockets provide space for smaller items that you need close at hand when you’re wearing a harness. A hat or ski goggles can be easily stowed away in the inner mesh pocket. Winter or summer, ski or alpine tour – this technical alpine jacket made from bluesign® certified materials covers an extremely broad range of weather conditions and activities with its sophisticated features and quality Polartec® NeoShell® materials.